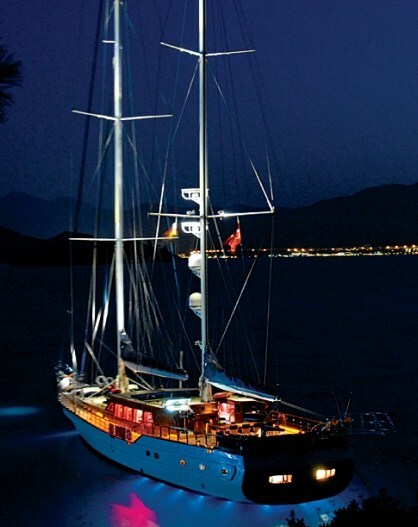 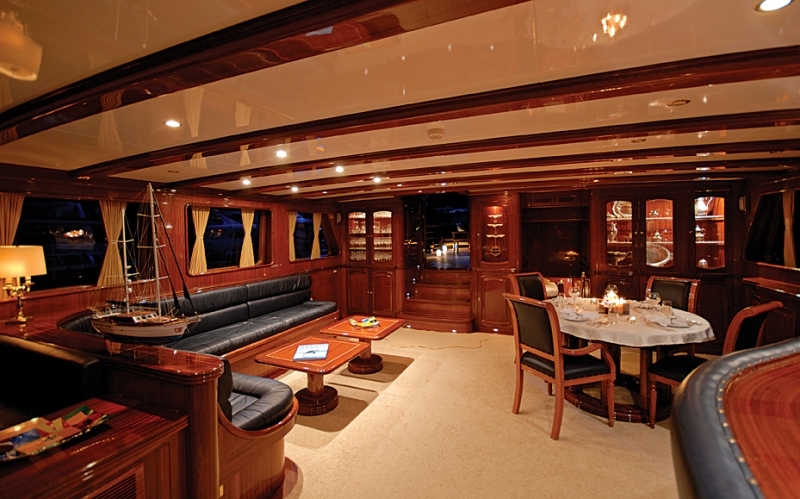 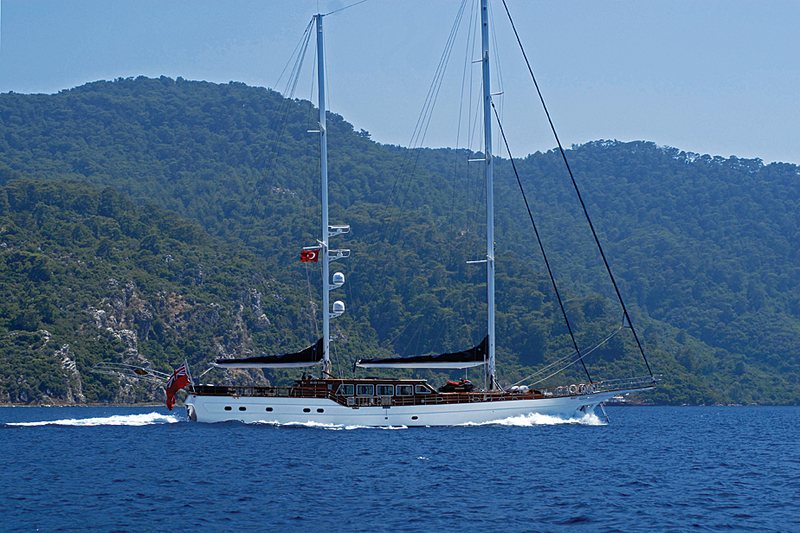 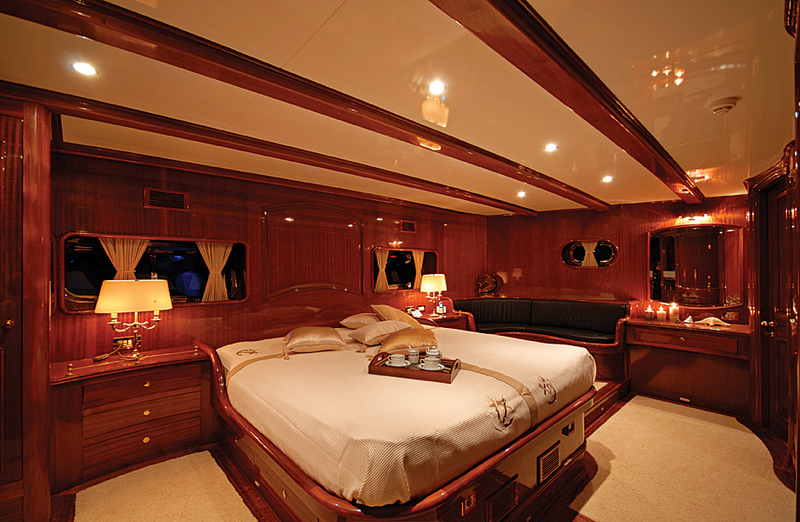 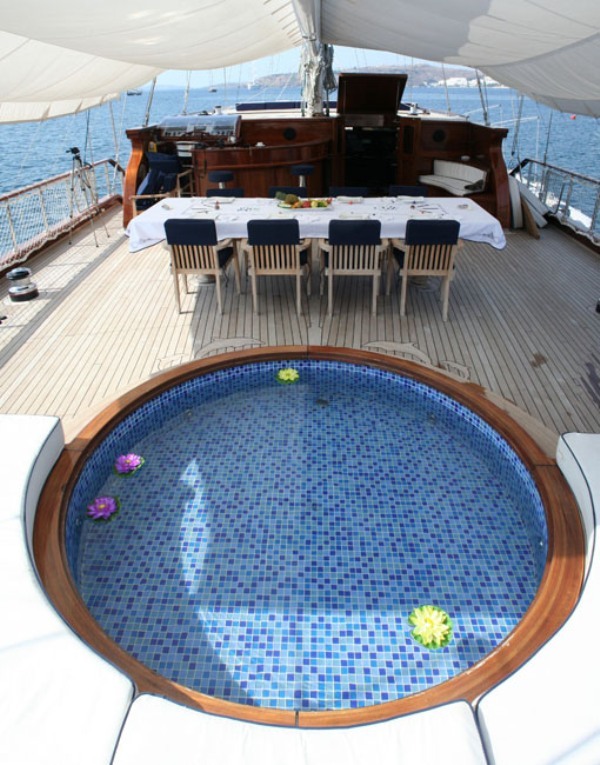 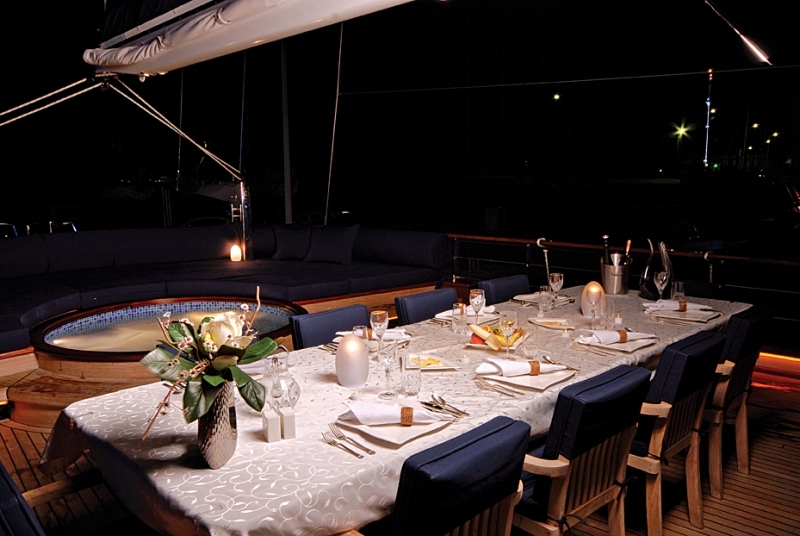 carries its teak deck and luxurious mahogany appointments at a comfortable cruising speed of nine knots. 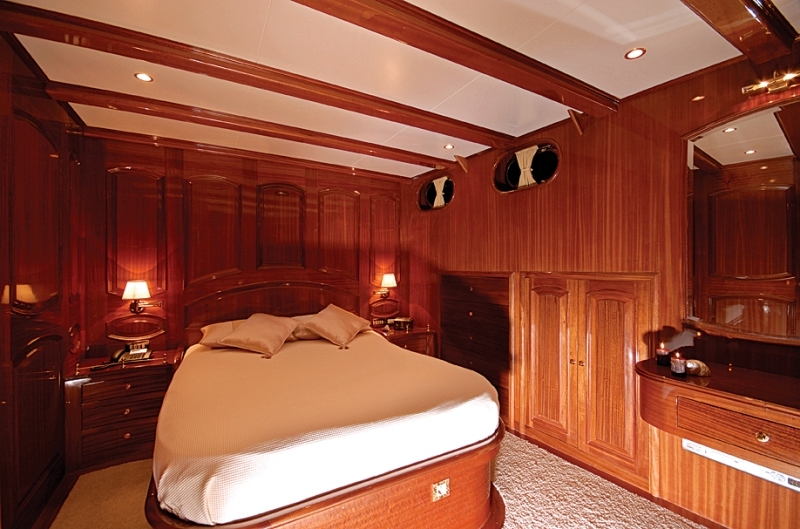 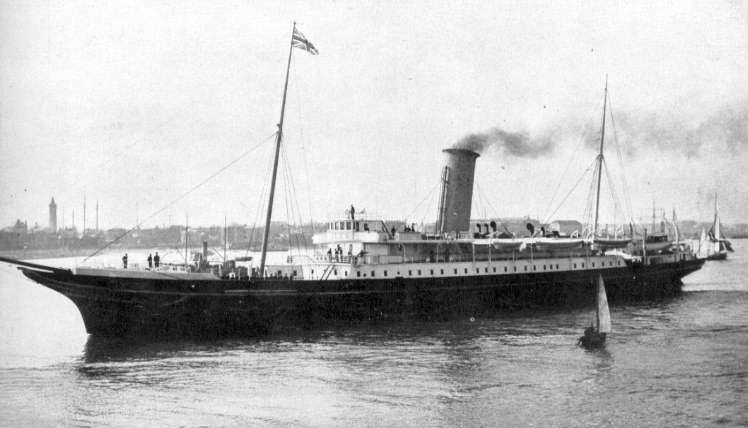 She has an elegant salon adjoining the stern quarterdeck, a master cabin aft, two double-bed cabins to starboard, and two twin-bed cabins to port. 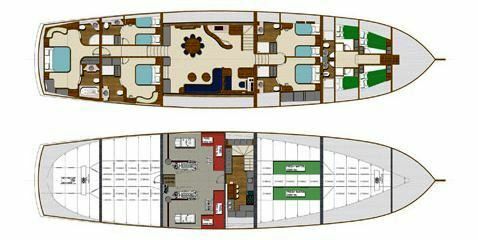 Each cabin comes with private bathroom including shower stall, the master cabin having a second bathroom with bathing tub. 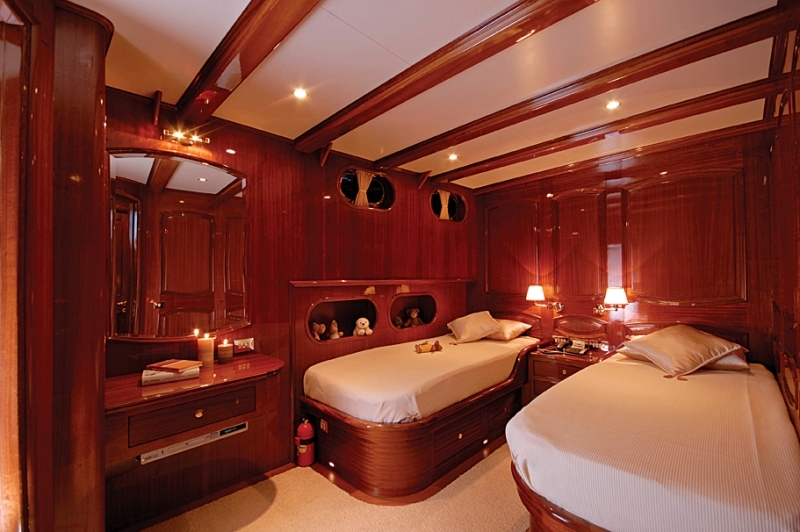 All cabins have plasma television and surround sound stereo systems. 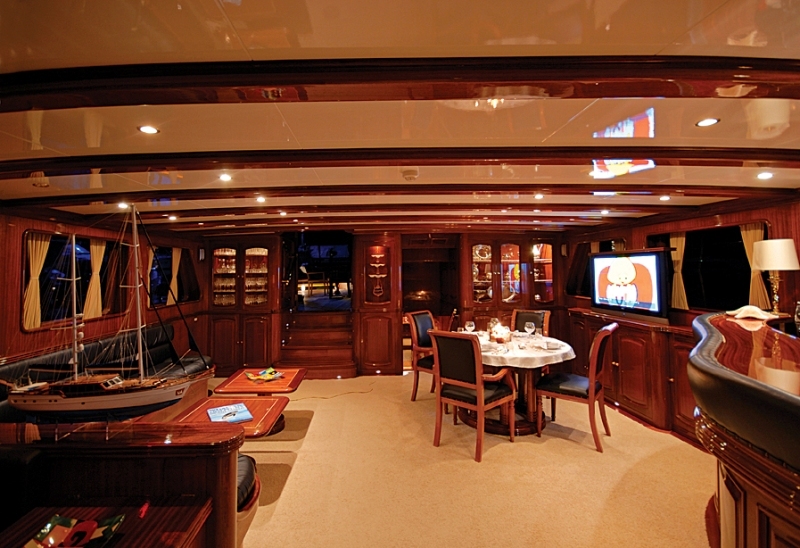 Four separate cabins in the forecastle accommodate a crew of six.